Sometimes I have to do quick posts. 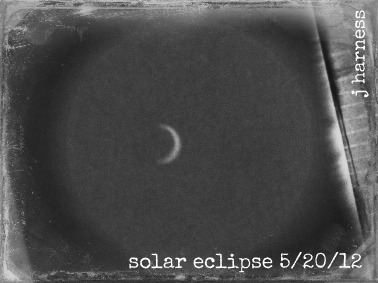 This is the solar eclipse as seen through our pinhole camera. Thanks for posting this. I missed it, darn. Very cool! I missed it as well, so it's nice to get a peek.